Our Sunrise appraisers are dedicated to providing lenders and individuals with rapid, high-quality residential appraisal services in Sunrise and the surrounding South Florida area. 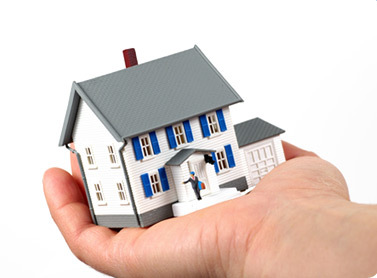 We have been appraising residential property since 1992 and are highly trusted in the area. If you need a home appraisal we are the one to call! We stand by our appraisal reports and pride ourselves on accuracy and timeliness. Our Sunrise appraisers follow industry standard Fannie Mae and Freddie Mac guidelines. We maintain a high level of communication, so you won't wonder when you will get your appraisal report. We rely upon up-to-date technology and data in order to ensure accurate and rapid appraisal services. Most appraisal reports are delivered via email within 2 to 3 business days from the date of inspection. Our Sunrise appraisers are highly qualified and state certified. When you order an appraisal with us you can be sure you are recieving a high quality report that only long term experience and education can bring. All our appraisers are state certified, meet continuing education requirements and have extensive experience analyzing property in Sunrise and the surrounding area. If you need a Home Appraisal in Sunrise call us today! Sunrise is located in Broward County Florida. Population estimates for the city as of 2016 was 93,734. Sunrise is home to Sawgrass Mills Mall, currently the fourth largest outlet shopping mall in the United States. In 2016 the median household income was $47,468, and the median income for a family was $47,908. The per capita income was $26,694. In the 1960's a real estate developer named Norman Johnson purchased 2,650 acres of land in western Broward County, Florida and started building the community known as Sunrise Golf Village. To attract prospective buyers he built an attraction known as the "upside down house" which as the name implies was physically built upside down. It included furnishings and even had a carport with the car flipped upside down. The house was featured in Life Magazine and was a hit. Of course the homes he built for sale to the public were built rightside up. Obviously it wouldn't have worked any other way! And thus began the city of Sunrise. The 1998 opening of the state-of-the-art now know as the BB&T Center, one of the nation's largest arenas, helped establish the city as one of the leading municipalities in South Florida. Sunrise today boasts a flourishing job market, a vibrant tourist industry, and is home to over 100 corporations and the largest corporate office park in the region. The crown jewel of Sunrise is its BB&T Center, a world-class multi-purpose facility which hosts more than 100 major entertainment events annually. Another major attraction is The Oasis at Sawgrass Mills, an exciting destination containing over 300,000 square feet of entertainment, dining and more. The city also boasts its own 65-member professional symphony, the Sunrise Symphonic Pops Orchestra. Founded in 1987, this independent group conducts its highly anticipated concert season annually from October through May. Sunrise also plays host to numerous events that draw residents and visitors of all ages. The Woodstock Arts & Crafts Festival, featuring handmade crafts, international foods, roving entertainment, and children's rides and games, marks the beginning of the holiday season. The July 4th concert is always a hit with residents. The city's annual Fourth of July Celebration features a parade, concert, softball, and fireworks. December's Jingle Bell Jog, a 21-year old Florida tradition, includes a 5K run and fitness walk for entrants in a wide range of age categories with a route which winds its way through the tree-lined streets of Sawgrass International Corporate Park. Every spring, the city hosts the BMW Tennis Championship, a prestigious major tournament of the Association of Tennis Professionals (ATP) which consistently draws a competitive field consisting of some of world's top men's professional tennis players. Fans of major league professional hockey do not need to leave town in order to see first-rate competition. The National Hockey League's Florida Panthers play their home games at Sunrise's BB&T Center. Other major league caliber pro sports can be found 30 minutes south of town in the city of Miami, home to the Florida Marlins (MLB baseball), the Miami Dolphins (NFL football), and the Miami Heat (NBA basketball).